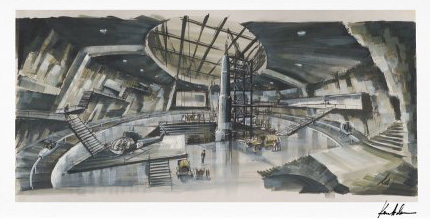 The last two months in the build up to James Bond's 50th Birthday have been really busy for us, so this post about the The James Bond Archives is going up much later than I would have liked and in all honesty the hoo haa of James Bond's 50 Birthday is a little lost on me as every day is James Bond's birthday over at The Establishing Shot. As someone who loves film and appreciates books that add value to the art and science of cinema Taschen has become - if they are not already - the premiere creators of must have and insightful film books. We are fans of their Film Archives Series which includes the stunning The Pedro Almodóvar Archives, The Ingmar Bergman Archives and the astounding The Stanley Kubrick Archives. Each of Taschen's Film Archives Series are visually stunning and more importantly full of genuine insight into film - delivered in easily readable nuggets of rich content making the Taschen Film Archives Series an invaluable reference and resource for both film fans as well as those who have a passing interest in the subject. 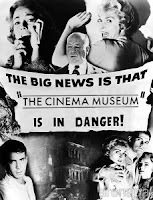 The Film Archives Series simulates the wonder and curiosity satisfying experience of cinema and each book's format is an engaging extension of film itself. Taschen's latest offering, which must surely be the essential James Bond film book - promises Moore much Moore (sorry I couldn't resist) as Taschen have partnered with EON, who gave editor Paul Duncan (the man behind Taschen's other books in the Film Archives Series) unprecedented access to the 007 vaults which includes over a million images and 100 filing cabinets of documentation. After two of painstakingly going through the material and media from across James Bond's 50 year film legacy including Skyfall and non EON productions 1967's Casino Royale and Never Say Never Again The James Bond Archives were delivered. The James Bond Archives promise to condense Bond's 50 year film history into 600 pages of stimulating and insightful reading accompanied by 1,100 images, some never before seen photographs and media. As with the previous Film Archives Series along with regular special edition print run of The James Bond Archives there are two further special limited Art Editions - each limited to 250 copies. Each copy has its own clamshell box signed by Daniel Craig. 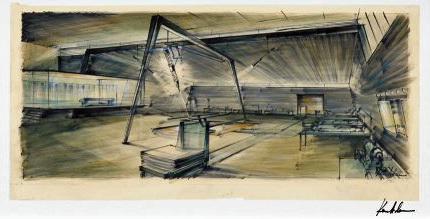 With a print of a set design drawing for You Only Live Twice by Ken Adam. 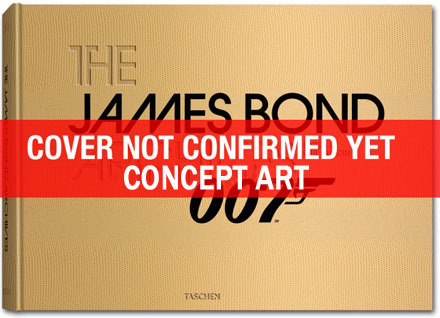 As the Art editions are limited to 250 copies and each are numbered you may well be wondering how cool The James Bond Archives, Golden Edition A, No. 007 would look on your book shelf. Well as part of Global James Bond Day today 5 October, the day marking the 50th anniversary of the premiere of Dr No. Taschen have kindly put this one off The James Bond Archives Golden Edition No. 007: edition up for auction a Lot 44 as part of the Christie's 50 Years of James Bond: The Auction. 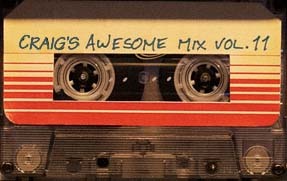 Rumour has it that this special edition will have some special signatures including actor and producers. The Christie's 50 Years of James Bond: The Auction is the only way to acquire this once off piece of James Bond history, unless of course the winning bidder decide to sell it in years to come. After two years diligently sifting through over a million images and 100 filing cabinets of documents, Duncan’s collation of previously unpublished photography and artwork is a definitive and comprehensive pictorial tribute to 007, and the complete account of the story of Bond, beginning with DR. NO (1962) and ending with the upcoming SKYFALL (2012). 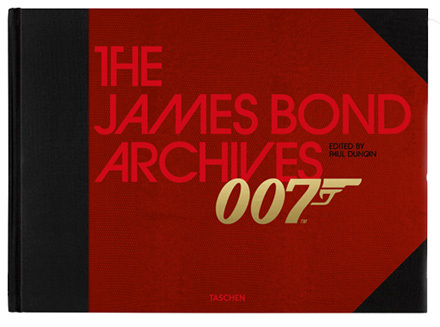 Over 600 pages deep and packed with the anecdotes and recollections of 150 cast and crew members, TASCHEN’s new arrival equates to half a century of Bond’s adventures. Celebrating the 50th anniversary of the most successful and longest-running film franchise in cinema history! All images and James Bond films © 1962–2012 Danjaq, LLC and United Artists Corporation. All rights reserved.